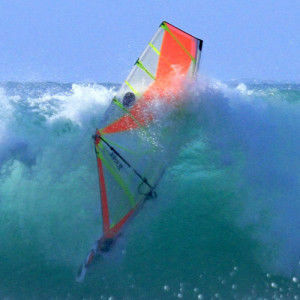 The Slayer was born for wave sailing and riding. It is quite unique with a morphing seam shape through the range, with each size up, seam shape increases slightly to allow you to take a smaller big size. Where the smaller sizes are flatter to handle high winds better. Seam shape increases the windrange, it gives more low end power but also stabilizes the shape at the top end. The dacron luff panel and PVC window gives a softer feel with the ability to go neutral allowing the rider to concentrate on the wave and not the sail. 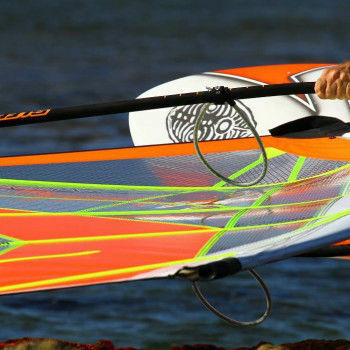 The aspect ratio has been increased on the bigger sizes to keep the boom shorter and gives more room to maneouvre the sail, allowing to make tighter turns (which was actually commented on a number of times) and get closer to the lip. 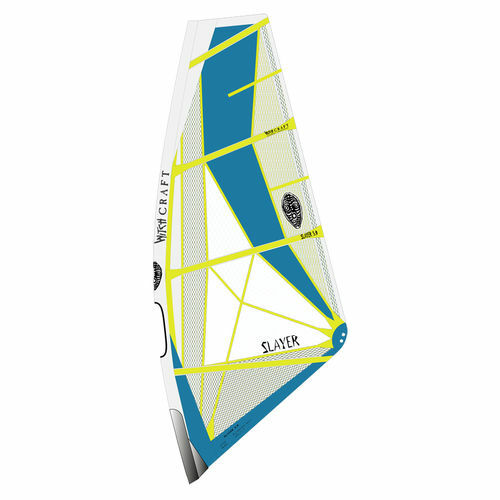 Higher aspect foils are more efficient so also that helps to use a smaller bigger sail.And as you would expect from Witchcraft, the sail is built to handle getting washed by waves, without ripping or overstretching and loosing it´s crisp feel. 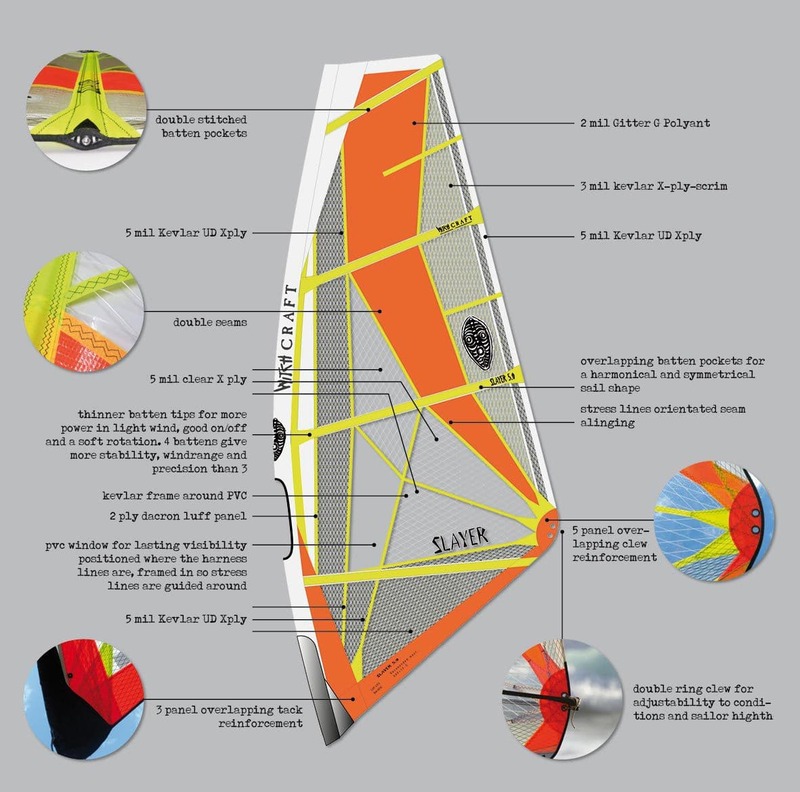 A well built sail that keeps it´s shape feels lighter than a physical light sail that is over stretched.The Slayer is best paired with the more dedicated wave boards like our Wave, Haka or Reaper or similar boards from other brands.